Thank you for shopping at circlelens2u.com. This privacy and security policy (“Policy”) outlines the information we collect about you, how we use the information and the choices you have to review, revise and/or restrict our usage of this information. Circlelens2u.com collects customer information for a variety of reasons, including as part of our ongoing efforts to provide superior customer service, improve our customer's shopping experience and to communicate with our customers about our products, services and promotions, including those that we believe may be of particular interest to you based on information we have collected. We collect personal information such as your name, financial information, telephone number, e-mail and postal address (“Personal Information”) that you provide to us when you save your information with us or when you participate in a sweepstakes, promotion or survey. We use this information to process any transaction, inquiry or promotion that you initiate with us, and provide you with advertising tailored to your interests. In addition, we maintain a record of your product interests, purchases and whatever else might enable us or our business partners to enhance and personalize your shopping experience on this or other websites and to provide you with offers, promotions or information that we believe may be of interest to you. We also monitor use of the Website and traffic patterns to improve the Website design and the products and services we offer as well as to determine what offers, promotions or information to send to you. Circlelens2u.com may disclose specific personal information about you if required by law, governmental request or court order, if based on our good faith belief that it is necessary to conform or comply with such law, request or court. We may also disclose information about you to other members of the Circlelens2u.com family, as well as a company contracted to help prevent the unauthorized use of credit and gift cards. *You can easily update your account information by logging on to Circlelens2u.com and clicking My Account. We offer those who sign-up for our email list advanced notice of sales, new merchandise, store openings and other news. Email addresses collected at Circlelens2u.com are used internally and by our business partners. If you would like to unsubscribe from our email list or would prefer that your email address not be shared with our business partners, please contact us. We will remove your name from our email list within a reasonable period of time. Please recognize that you may receive another email before we are able to remove you. Circlelens2u contracts with outside service providers to help us better understand your use of Circlelens2u.com. Our service providers place cookies on your computer or use other technologies to collect various kinds of information for us related to your use of Circlelens2u.com, so that we and our business partners may continue to refine and improve the site and other sites for our customers, and provide advertising tailored to your interests. We do not allow our service providers to collect any credit card, user name or password information. As a visitor to Circlelens2u.com, you may opt out of being included in this collection of data by contacting us. We may also use our own cookies to deliver enhanced online display advertising tailored to your interests. 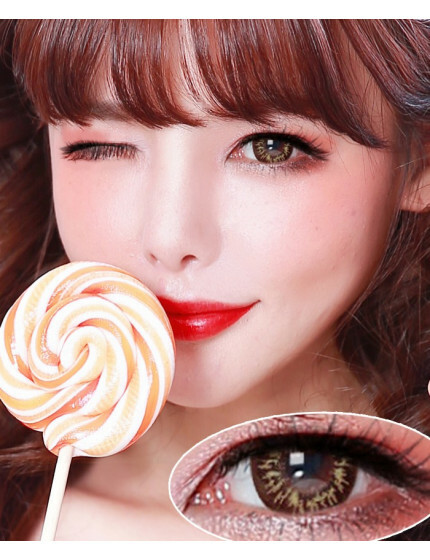 To opt out of this advertising provided directly by Circlelens2u.com, please contact us. “Cookies” are bits of information that are automatically stored on your computer. If you do not want to have cookies on your system, you can set your browser to disable them. We also use other methods of automatic collection to determine information about visitors to our website, including the IP address, browser, language preferences, and computer identification numbers. We use the information obtained using these tools to provide better customer service, enhance our product offerings, and detect potential misuse or fraud. To opt out of any such data collection, please contact us. Sensitive personal financial information contained in orders placed on the Website are encrypted using 128-bit secure sockets layer (SSL) technology. In order for SSL security to work, you must use an SSL enabled browser. Secure Socket Layer (SSL) is a technology used by vendors to ensure the security of online business. It negotiates and employs the essential functions of mutual authentication, data encryption and data integrity for secure transactions. Circlelens2u.com may periodically update this Privacy & Security Policy for new, unanticipated uses not previously disclosed. Any changes made will be posted here. By visiting our website you agree to accept any changes made to this policy. The Circlelens2u.com Privacy & Security Policy only addresses the use and disclosure of information we collect from you on our website.